Members of the Stockyards Connection Block Club report residents called Cleveland police multiple times to report "shots fired" on November 12 and 13, and have concerns about police response time. Block club president Rebecca Barker told News 5 there were several calls for service on West 58th, West 59th, and West 46th, and in many of the cases, she said police took 20 to 30 minutes to respond. Barker said residents are living in fear. "Every time you get ready to doze off you hear pow-pow, then pow-pow-pow," said Barker. "Calling cops waiting for them to show up and then, no show. So then we go back by the house and then we hear a couple more shots. Then everybody else is calling for the police, where are they where are they." David Henderson lives on West 58th, he's a father of three children and said he and other residents are frustrated by all the gunfire and what he called slow police response time. "I have kids and grandchildren, so when I call the police I want them to come quickly," said Henderson. "In the suburbs, when the police are called, you have two or three cars at one address in a matter of minutes. But outside of the suburbs when you call the police it could be 20, 30, 40 minutes to an hour." Barker told News 5 Cleveland Police attended her block club meeting two weeks ago, and she said residents made it clear more police are needed in the street. Barker wants Cleveland Mayor Frank Jackson to use a substantial amount of the new money generated by the city income tax hike on hiring additional officers. "Hire police officers, we really do need them," said Barker. "We do need the protection." 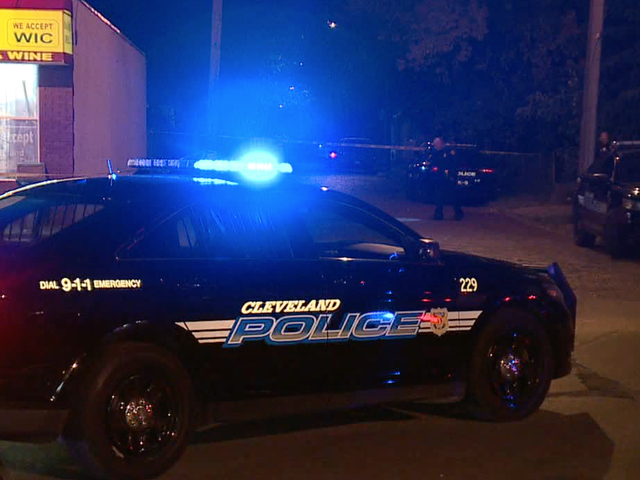 News 5 reached out to Cleveland Police Headquarters about calls for service on West 46th, West 58th and West 59th, on November 12 and 13, but are still waiting for a response.